Our furniture grows along with you. Take one of our sofas. It endures. It patiently holds up to the trials your little ones put it through. Your dogs can sleep on it without ruffling its elegant surface. Teenagers can pile on it, and it won’t even groan. After years of service, the fabric may need a face lift, but its bones are still beautiful. Timeless, yes — but also classic, stylish, and environmentally friendly. The DWS collection of furniture is bench-made in the USA, not mass-produced. This allows for a level of customization that has long vanished from the marketplace. 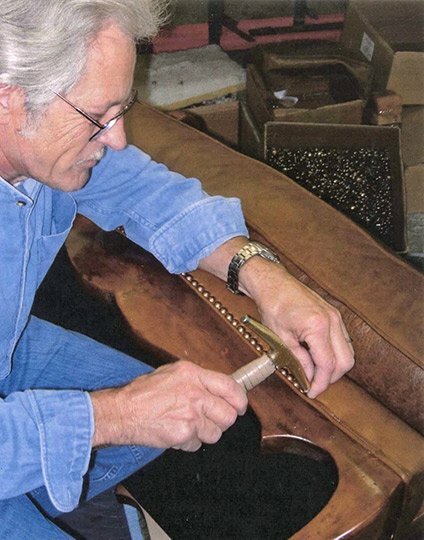 Skilled craftsmen apply decades of experience to the construction of each piece. The resulting items are of the highest quality, ensuring that they will enjoy a long life in service to your family. 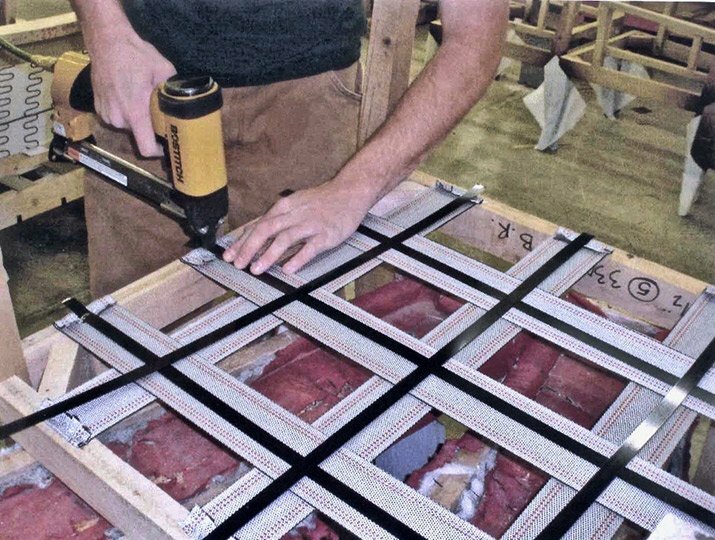 Frames are made from kiln-dried hardwoods such as maple and oak. Joints are double-dowelled and corner-blocked for maximum strength. Seats are engineered on an 8-way hand-tied suspension, to provide the utmost comfort and longevity. 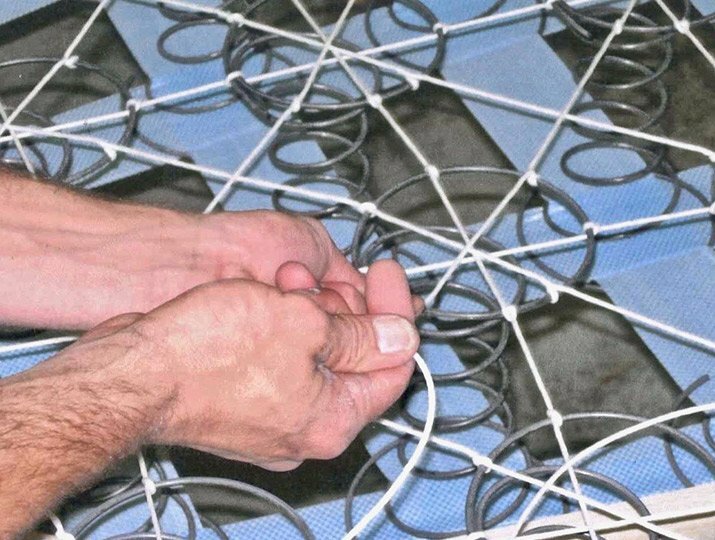 Cushions are constructed with an inside core made up of tiny individual coils surrounded by ultra cell foam. This core is then surrounded by a thick layer of a down and feather blend, encased in a channeled, down-proof sewn cover. The cushioning is environmentally safe, and meets or exceeds UFAC fire retardant standards (TB117-2013). In plain English this means that the cushions are not treated with toxic chemicals but are still fire-safe. Most of the pieces in the Design Wright Studios line can be tailored to your specifications. That family-sized sofa for a media room? It can also be made to work in a Tiny House. A lounge chair can be made to fit a basketball player or a gymnast. Not only can your furniture’s dimensions, depths, and leg heights be made to order, but also its coverings can be customized to stand up to children, pets, and the rays of the sun.